The Disneyland 60th Anniversary is in full swing and there’s subtle nods to the Country Bear Jamboree in some of the new merchandise! 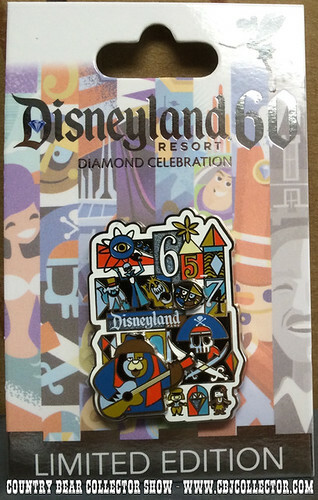 This week we take a look at the BRAND NEW Disneyland 60th Anniversary Decades pin featuring the years 1965-1974! It features art by Jeff Granito that features Big Al along with the Haunted Mansion, It’s A Small World, Pirates of the Caribbean and Adventures through Inner Space. Our host gives his Paw Rating, letting you know how cool this item is and if it is worthy of your Country Bear collection!